Graphic template with vector buildings, towers, skyscrapers on radiant sunburst background. Cool poster or card layout in Illustrator format with copy space for your text, slogan or logo. 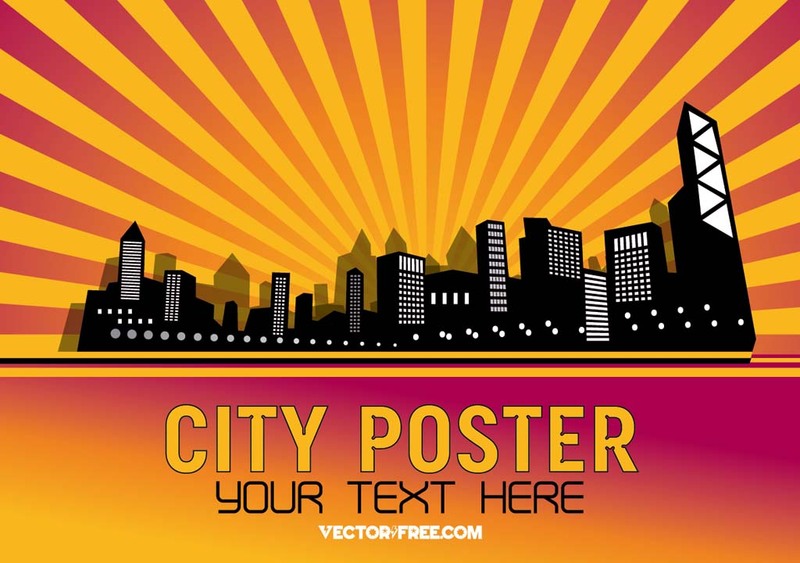 Download city vector for your metropolitan, downtown, modern town, abstract panorama, London, Hong Kong, Dubai, New York or Shanghai designs. Tags: Buildings, Card, Poster, Skyscrapers, Sunrise, Sunset, Town.